Most prospective college students know to take a long hard look at a college campus. Can they see themselves walking through this quad, sleeping in these dorms, and eating in this cafeteria for the next four years? But what about the town in which a prospective college is located? As college is all about independence, getting off campus for a night on the town can be an important part of relaxing and de-stressing, making a college town’s quality of life an important factor to consider when choosing a place to spend the next four years. 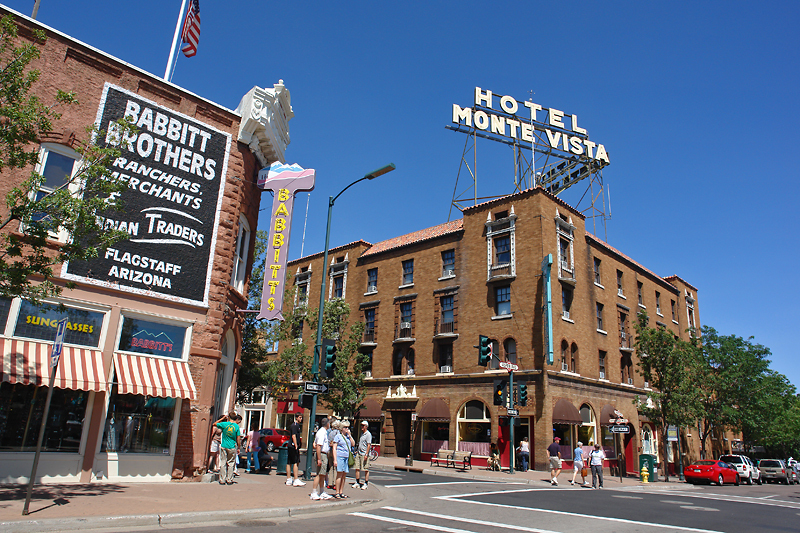 Northern Arizona University students living in Flagstaff, Arizona are surrounded by strong Southwestern culture, plenty of job opportunities, and beautiful mountainscapes and scenery. Theaters and frequent festivals and music events provide plenty of reason to head off campus, while the close proximity of the Grand Canyon means easy access to hiking or camping weekends away. Plenty of students choose to stick around this great place after graduation, and major employers include Gore-Tex, Nestle Purina Petcare, and the U.S. Naval Observatory Flagstaff Station, the latter of which recently teamed up with The Discovery Channel to build a new powerful new telescope for future projects and discoveries. It’s hard to imagine a place quite as beautiful as Bozeman, Montana. With lakes, rivers, and mountains all within an easy driving distance, it’s no wonder Montana State University students tend to be outdoorsy types. Fly fishing, rock climbing, skiing, spelunking, and hiking are all popular pastimes here. When it’s time to relax, Bozeman’s picturesque downtown is lined with friendly and inviting coffee shops, bars, art galleries, and restaurants. For those looking to stick around Bozeman after graduation, the Gibson Guitar Corporation’s acoustic guitar factory is located here, as are a growing number of tech start-ups that are attracted to the lower cost of living and higher quality of life. San Luis Obispo (or SLO as it’s lovingly referred to by California college-aged kids) is one of the oldest cities in the state. Spanish and Native American cultures are strong here, and plenty of historical sites exist within the city limits. The Santa Lucia Mountains make for a pretty view to one side, though SLO also boasts easy access to the Pacific Ocean. Students at California Polytechnic State University relax with popular pastimes like biking, hiking, and spending the day at the beach. 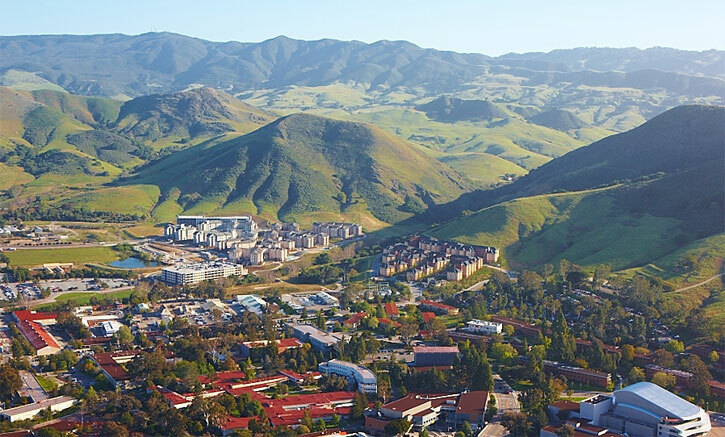 Tech-savvy Cal Poly students will like that Pacific Gas & Electric, Tenet Healthcare, and the various research groups associated with the University are all major employers in the greater SLO area. Pretty Claremont, California is a great place to attend college and an even better place to live. Often referred to as the “City of Trees and PhDs,” Claremont is home to the system of Claremont Colleges, a quiet community scene, and easy access to the city of Los Angeles. Claremont’s picturesque downtown is lined with boutiques, inviting coffee shops, and tasty restaurants. There’s always something to do downtown or at one of the local parks or theaters, while more adventurous pastimes here include skiing or snowboarding in the San Gabriel Mountains, and swimming in the Pacific Ocean. Good news for those who plan to stay in Claremont after graduation: CNN Money recently named the college town the best place to live in all of California. Home of the University of North Dakota, Grand Forks is very much a college town. Cowboy, Midwestern, and Native American cultures seamlessly collide in Grand Forks, and combine into a laid-back community with a strong and diversified economy and a low cost of living. Grand Forks is home to a number of industries such as defense, healthcare, education, food processing, and research. Altru Health System, Grand Forks Air Force Base, Amazon.com, and LM Wind Power are the largest employers here, and often employ students in internship or part-time positions. Home to the University of Arkansas, Fayetteville consistently ranks as one of the best small towns in America. Downtown Fayetteville has plenty of locally owned bars, restaurants, coffee shops, festivals, parks, and cultural events to lure students off campus. Plus, the town is set against the beautiful Ozark Mountains, so hiking, camping, and other outdoor activities make for popular pastimes and relaxing weekends away. According to Forbes, Fayetteville is the 8th best city in the country in which to start a business — good news for entrepreneurial Arkansas alumni. Bloomington, Illinois (along with its next-door neighbor, Normal) is the home of Illinois Wesleyan University and Illinois State University. Thanks to these two large schools, the town of Bloomington enjoys plenty of cultural and sporting events throughout the year. Local businesses cater to the student population, and often offer coupons, discounts, and even freebies to Bloomington’s student population. The cost-of-living here is low compared to the rest of Illinois, and big employers like State Farm Insurance, Mitsubishi, and Country Financial make it a great location to both attend college and start a life. Oxford, Mississippi, home of Ole Miss, is one of those towns that has it all. The epitome of the southern small town, Oxford has a long literary history, and has been the home of a number of authors, from William Faulkner to John Grisham. In fact, Faulkner’s home Rowan Oak is a major must-see site in Oxford. Grilling and tailgating are major pastimes here, especially during Ole Miss football season. Oxford residents also have plenty of access to good music thanks to the town’s close proximity to bigger cities like Nashville, Memphis, and New Orleans. Not to be confused with Bloomington, Illinois two spots up, Bloomington, Indiana is home to Indiana University. Named for the myriad of blooms spotted by early settlers, Bloomington is consistently named one of the most beautiful small towns in the nation. 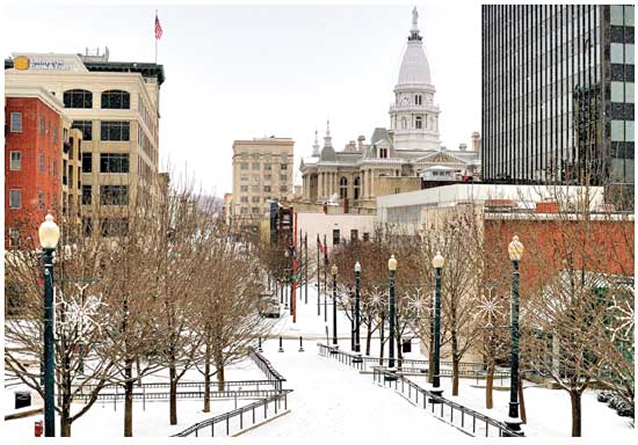 Restaurants, cultural activities, concerts, and university events are enough to keep any Bloomington resident busy, while plenty of nearby outdoor activities make for relaxing weekend getaways. IU’s entrepreneurial students will be happy to know that Bloomington was named by Entrepreneur magazine as one of the 50 Hottest Small Cities for Entrepreneurs, while Forbes ranked it the third best place for business careers. 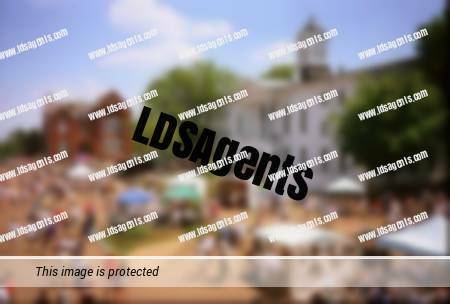 As the home of Purdue University, most of Lafayette, Indiana revolves around the university life. There is always something happening here, whether it’s a concert or festival downtown or an event put on by Purdue’s Greek system (the third largest in the nation). A short drive away from campus is the Wabash River, where students can get away for a relaxing weekend of fishing, camping, hiking, or any number of other outdoor activities. Downtown Lafayette is lined with coffee shops, cafes, restaurants, and bars, all of which are affordable and cater to Purdue students. Caterpillar, Wabash National, and Subaru are all major companies that help contribute to the town’s low unemployment rate and reasonable cost of living. Lawrence, Kansas is consistently ranked among the top cities in which to retire, but don’t get the wrong idea. Lawrence offers its residents all the creature comforts one could ask for, and as the home of both University of Kansas and Haskell Indian Nations University, has quite a lively college scene. Most of this scene occurs near downtown, where restaurants, bars, and concert venues provide fun places for students to spend evenings off campus. Indeed, the New York Times referred to Lawrence as having “the most vital music scene between Chicago and Denver.” Music lovers will especially love the annual Wakarusa Music and Camping Festival, during which upwards of 60,000 music lovers flock to Lawrence to see some of the hottest names in music. 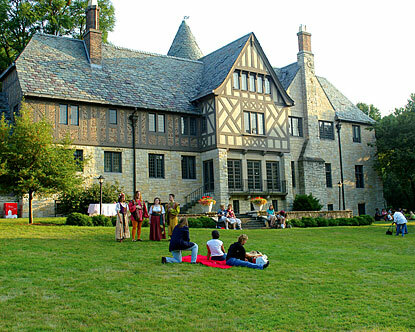 Home to Binghampton University, Binghampton, New York has long attracted residents looking for a charming and economically stable place to call home. Most of Binghampton is centered around the defense industry, and large companies like Lockheed Martin, BAE Systems, IBM, Sanmini-SCI, and Universal Instruments all actively recruit from the University’s impressive graduates. For those students who aren’t quite sure about spending more than four years here, Binghampton has plenty to offer for both fun and relaxation. The picturesque downtown was made for strolling, and has a number of fun restaurants, coffee shops, boutiques, art galleries, and even museums. Binghampton is also home to the best philharmonic in the region, while a number of festivals and concert series stop here throughout the year. 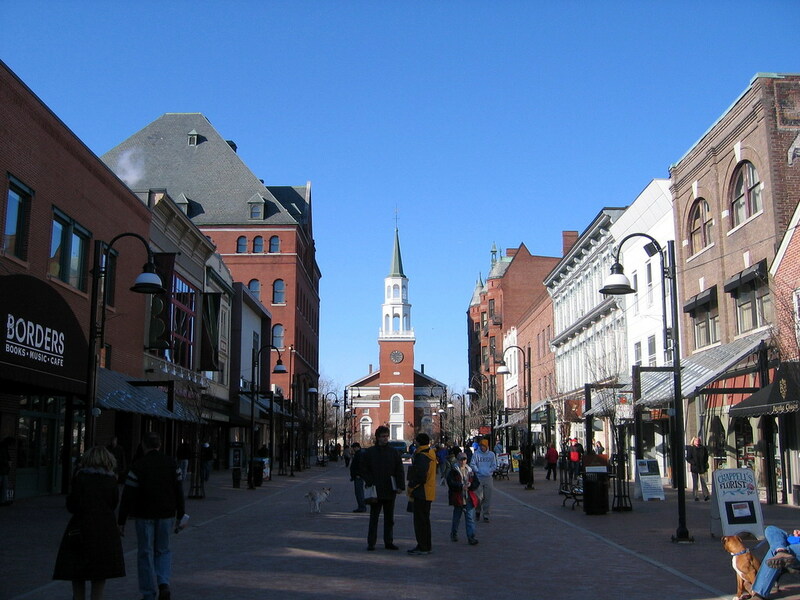 A safe and lively urban scene, well-planned community growth, a low cost of living, and a business scene inviting for start-ups and other small businesses all combine to make Burlington, Vermont a college town with great quality of life. The University of Vermont, Burlington College, and Champlain College all call Burlington home and provide most of the town’s residents. As would be expected from such a college scene, Burlington has a thriving musical, artistic, and cultural scene that consistently provides local residents with concerts, festivals, theater, and other activities. 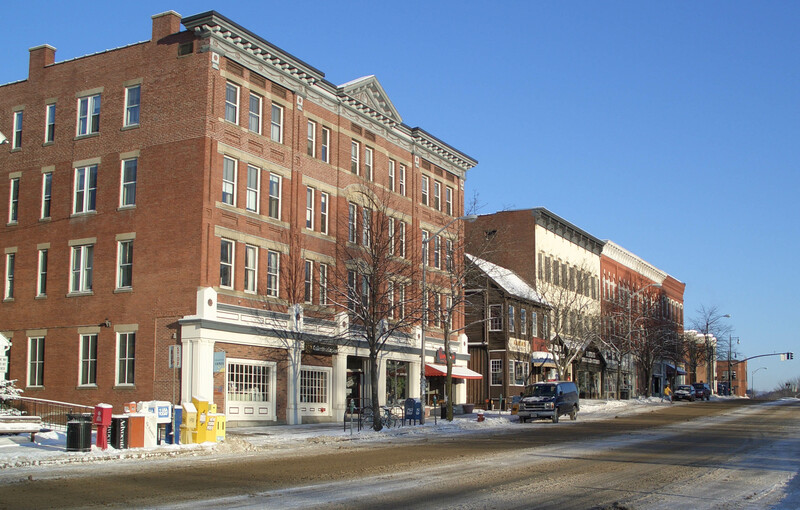 The downtown is a walkable collection of historic buildings, locally owned shops, and tasty restaurants, while Vermont’s famed skiing can be found a short drive away. Spend four years at University of Virginia and you’ll find it hard to leave the charming town of Charlottesville. Two U.S. presidents have called Charlottesville home, and Thomas Jefferson’s Monticello (now a UNESCO World Heritage Site) is located here as one of the town’s top tourist attractions. Surrounding Charlottesville are gorgeous rolling hills, a myriad of wineries, and views of the Blue Ridge Mountains. Downtown Charlottesville consists of one of the longest outdoor pedestrian malls in the nation, where walkers can enjoy strolling past nationally recognized restaurants, inviting cafes, locally owned boutiques and independent bookstores, and much more. While the cost of living here can get pretty high, Charlottesville residents say the beautiful surroundings, historical significance, and extensive creature comforts make it all worth it. With nearly two students for every one non-student, it’s no wonder that Blacksburg, Virginia caters to the students of Virginia Tech and Radford University. Students can get off campus and enjoy more than 150(!) restaurants, pubs, art galleries, and boutiques in and around Blacksburg’s downtown area. For more than just an afternoon or evening away, adventurous students will love Blacksburg’s close proximity to the Blue Ridge and Allegheny mountains, where hiking, camping, skiing, and snowboarding opportunities are plentiful depending upon the time of year. Finally, Blacksburg’s cost of living is some of the lowest in the state thanks to its massive student population. Still, large employers are based here. The small town has recently become a hub for tech firms and start-ups, and Blacksburg Electronic Village (BEV) has been one of the top employers in town for nearly three decades. Ranked by Outside magazine as one of the top 20 places to live in America, little Corvallis, Oregon has a lot to offer residents. Home to Oregon State University, Corvallis has a large student population that mixes well with the local community. Popular pastimes here include anything that has to do with being outdoors (think hiking, biking, camping, skiing, and enjoying Corvallis’ many parks) — perhaps this is why residents of Corvallis are said to have a higher life expectancy than those in other Oregon cities. Corvallis has also been ranked one of the smartest towns in America, and major companies like Hewlett-Packard, CH2M Hill, and AVI BioPharma all call Corvallis home. The University receives more research funding than all other public higher education institutions in Oregon combined, giving research-oriented students at the University plenty of opportunities to enjoy land-, sea-, space-, and sun-grants around the Corvallis area. Home to the University of Iowa, Iowa City offers its residents a quality of life that has gotten the town plenty of recognition as one of the best places to live in America. The local hospital system is a pride of Iowa City, and University students host an annual 24-hour dance party that has raised more than $15 million for patients at University of Iowa Children’s Hospital. But one need not wait for the once-a-year opportunity to attend a dance party — the University consistently ranks as one of the nation’s top party schools. On a more sober note, Iowa City has an impressive literary scene, with ties to such writers as Flannery O’Connor, Robert Frost, and Kurt Vonnegut. 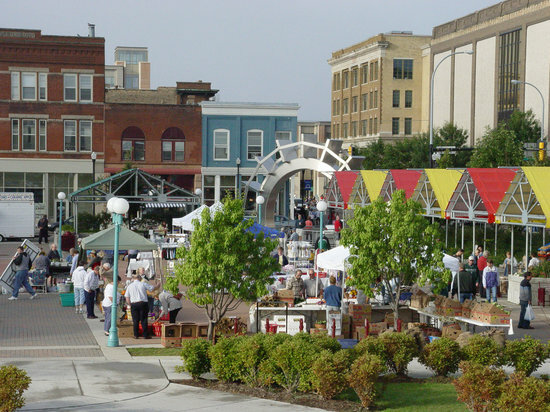 Each year, the city hosts a variety of book-themed festivals, including the Iowa Writer’s Conference. The city is also the only UNESCO City of Literature in the United States. Also in Iowa is Ames, home of Iowa State University, a number of national companies, and a high quality of living. Unemployment here is a super-low 3.2%, thanks in large part to companies like 3M, the U.S. Department of Agriculture National Animal Disease Center, and the national farmer’s association. Nearly half of Ames’ population is that of college students, so this small town is full of opportunities for a fun and vibrant lifestyle. While downtown Ames offers plenty of restaurants and locally owned shops, most students head off campus to Campustown, a square with amenities that cater almost exclusively to the college population. It shouldn’t be surprising that a town located in Happy Valley should be one of the best places in the country in which to live. Home to Amherst College, Hampshire College, and the University of Massachusetts Amherst, the little town of Amherst has a long and interesting history that includes such figures as Robert Frost, Daniel Webster, and Emily Dickinson, among many others. Today, the artist scene thrives in Amherst, and residents have plenty of opportunity for cultural events, theater and concert series, political (almost exclusively Liberal) events, and more. While the cost of living is higher in New England than most other parts of the country, the unemployment rate here is low thanks in large part to the number of large economic centers within easy commuting distance.